How much is Eumir Deodato Worth? Eumir Deodato net worth: Eumir Deodato is a Brazilian musician, composer, arranger, and record producer who has a net worth of $10 million. Eumir Deodato was born in Rio de Janeiro, Brazil in June 1942. He is a pianist who has primarily played jazz but has combined several genres including pop, disco, rock, R&B, classical, and more. His debut studio album Inutil Paisagen was released in 1964 and he has gone on to released several albums over the years. Eumir Deodato released the single "Also Sprach Zarathustra" which reached #2 in the US and #7 in the UK. He has worked as a sideman and arranger with several artists including Vanessa de Mata, Titas, Luiz Bonfa, Ray Bryant, Astrud Gilberto, Antonio Carlos Jobin, Paul Desmond, Milton Nascimento, Walter Wanderley, and Michael Franks. 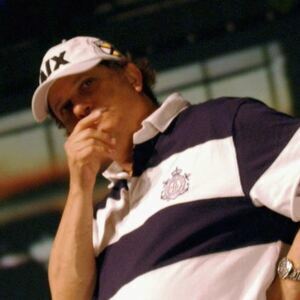 He won a Grammy Award for Best Pop Instrumental Performance in 1974 and has been nominated for other Grammy Awards. As a producer he has also been responsible for hit singles such as "Celebration", "Too Hot", and "Ladies' Night" by Kool & the Gang. Eumir Deodato's daughter is graphic designer Kennya Baldwin. 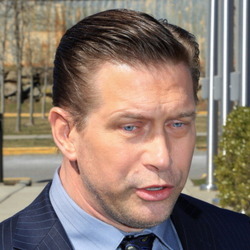 Kennya is married to actor Stephen Baldwin. Their daughter Hailey is a model who in 2018 became engaged to superstar Justin Bieber. That makes Eumir Deodato Justin Bieber's grandfather-in-law.